William Christopher finally is upgraded to a principal cast member. Note: Jamie Farr and William Christopher did not appear in this episode. 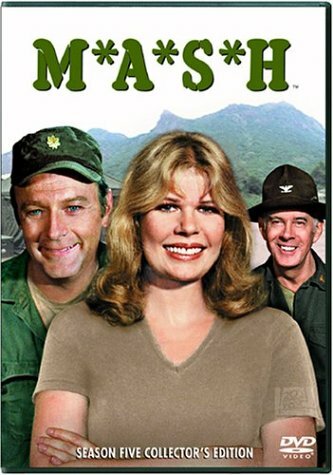 Note: Loretta Swit and William Christopher did not appear in this episode. While fixing a stove that explodes, Hawkeye's face is badly burned. His eyes are bandaged, and it is not known if he will ever see again. come off, and happily, Hawkeye can see again. awkward, Radar opts to return to his position as an enlisted man. George F. Simmons	... 	? Lips returns, after helping in the birth of a Korean baby. his tension in the form of a practical joke with B.J., aimed at Frank Burns. by Hawkeye on the radio. shoot in self-defense, against Hawkeye's will. excited, which loses him the discharge. and Radar returns the spirit post to its original position. he is as sane as can be, Hawkeye's life once again seems to settle down. Hawkeye and B.J. stage a fight with each other to make Frank happy. old friend Tippy Brooks (Oliver Clark), a whiz at puzzles, brought to camp. wounded soldier, and after being patched up he is married at the camp. talks with Radar, Billy agrees that he must live on. them with Donovan and the air is cleared. a very difficult operation and Hawkeye deals with a psychosomatic back pain. Radar does his impersonations, and everyone acts out scenes from the film. to offer their blood and save the day. that is the subject of this episode? Note: This is also Larry Linville's final episode in the series. Donald and Hot Lips leave for a week's honeymoon in Tokyo.